Erica Hollman, founder of Cuts for Cancer, saw a photograph of a bald young girl undergoing chemotherapy, drawing hair on her reflection in the mirror and was moved into action. After viewing the image Hollman made a promise to herself. “I promised myself that before I die I want to give my hair to a little girl that does not have hair,” said Hollman. Cuts for Cancer is a grass roots organization looking to collect hair and monetary donations from the community. A haircutting event will be held at John’s Hair Quarters, located at 56 Bridge St. E., on June 6, 2012, in Belleville. 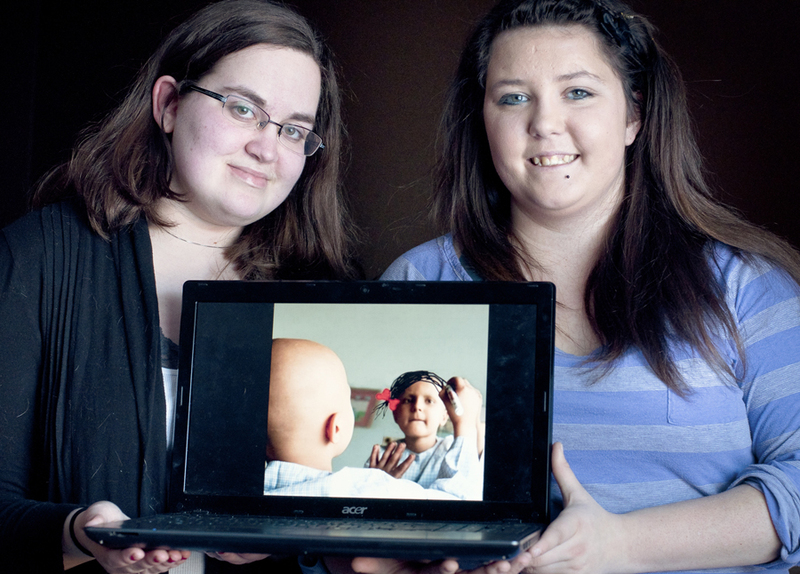 Hollman then created Cuts For Cancer on Feb. 1, 2012 with the help of her friend Hailey Lindsay, who is also the coordinator of the organization. Both girls are looking to get as many people as possible to come out and help support young children who can’t afford to have a wig made. Hollman, who is still in high school, is looking to gain support from everyone. “Have you ever wanted something so badly but could not get it?” said Hollman. The main goal is to get hair donations for Can Donate Hair, a Quebec company that provides free wigs to children under the age of 16 suffering from cancer. According to www.DonEspoirCancer.ca this is the only company in Quebec authorized to accept hair donations. The wigs made from the donations of the haircutting event in Belleville will be accompanied by letter from the donor to the patient, so that the patient knows where their new hair came from. “Don’t worry little girls, you will have hair soon,” promises Hollman. For any inquiries visit http://cuts-for-cancer.webs.com/ or their Facebook page Cuts for Cancer to get involved.